Makes 16 servings, 1/16 recipe (47 g) each. Dissolve coffee granules in boiling water. Arrange 9 wafers in single layer on bottom of 8-inch square dish; drizzle with 1 Tbsp. coffee. Beat cream cheese spread and 2 Tbsp. of the remaining coffee in medium bowl with whisk until well blended. Add sugar; mix well. Stir in Cool Whip; spoon half over wafers in dish. Repeat layers of wafers, coffee and cream cheese mixture. Refrigerate 4 hours. Top with berries and cocoa powder just before serving. 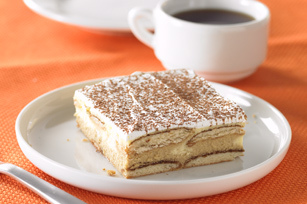 Food FactsTraditional tiramisu, which when translated means "carry me up," is a dessert made with ladyfingers dipped in coffee, which are then layered with mascarpone and grated chocolate. 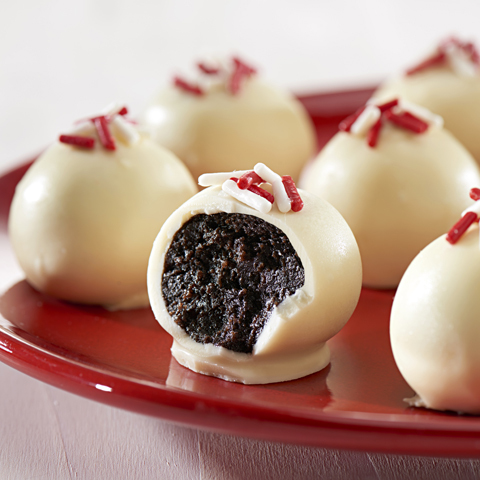 This easy-to-make version uses light cream cheese spread and Cool Whip instead of the mascarpone, and cocoa powder instead of the grated chocolate. 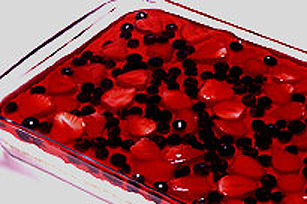 NoteDessert can be refrigerated up to 2 days before serving.